The main focus will be to derive information of ice surface elevation changes (Task 1.1c) and the flow of the ice masses (Task1.2a). There will be collaboration and common interpretation of data with other researchers working on Task 1 (IMO, DTU-Space, UiO) and data provided to collegues working on understanding processes (Theme 2, in particular calving work at UNIS) and predicting future evolution (Theme 3). 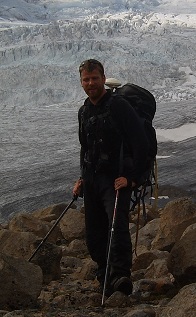 The objective is to apply remote sensing to define the present geometrical and dynamical reference state of glaciers and to observe ongoing changes in ice surface elevation and flow in order to deduce changes in glacier geometry, ice volume and mass balance in response to current climate change.